The Stonebrooke Center Auditorium is perfect for your event. Seating up to 250, multimedia capable with large screens, sound system, and lighting. Perfect for wedding receptions, quinceañeras, sweet 16 parties, luncheons, retirement parties, or vendor events. 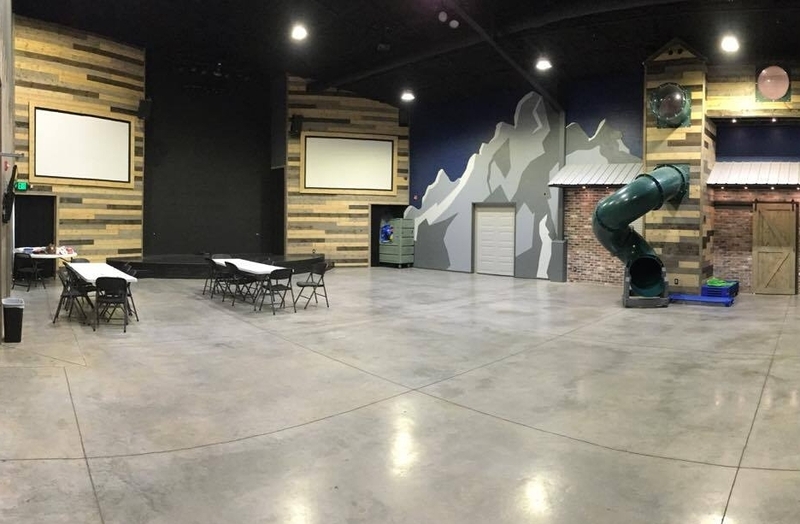 The Warehouse is a unique space, equipped for kids! Perfect for small affairs and birthday parties, this space can seat up to 80. Lighting, sound, and visual media will set your event apart. This partially private space at the entrance of Stonebrooke Center. With café lighting, warm wood walls, and comfortable seating, this area is an excellent place to entertain. Hold a shower or meeting here with room to spare. Stonebrooke Center is a multifunctional community center. 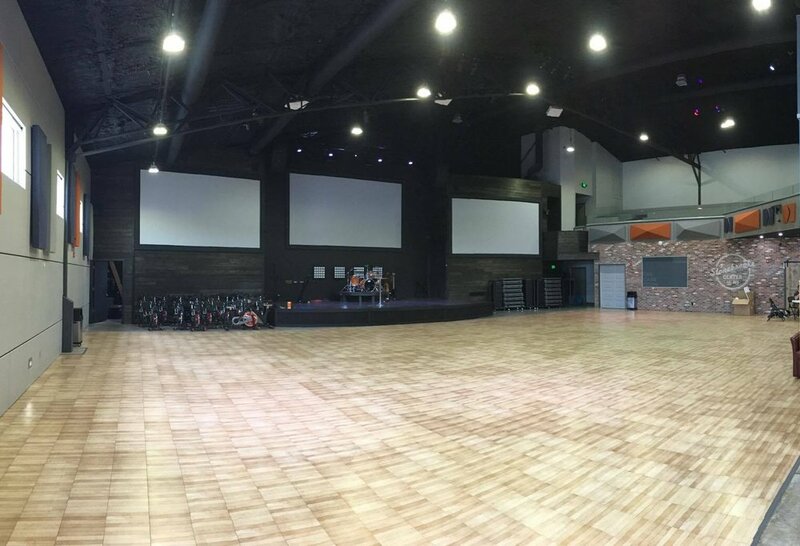 It hosts events, regular group fitness classes, and Stonebrooke Church meets on Sundays. The space is available to rent for private and public functions.